Libya has done the unthinkable: oil production in the war-torn country is actually up substantially in recent weeks, as some idled oil fields came back into operation. Libya’s oil production jumped by more than 70 percent this month, from roughly 260,000 barrels per day in August to 450,000 barrels per day in September, according to Bloomberg. Libya hopes to build on that momentum with the return of some major export terminals that have been sidelined for nearly two years. An oil tanker is set to ship the first cargo since 2014 from the Ras Lanuf export terminal, one of the country’s largest. 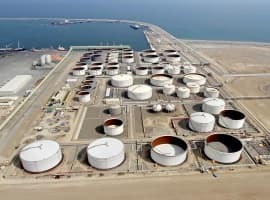 Libya has set a target of nearly 1 million barrels per day by the end of the year, a hugely ambitious objective that will be difficult to meet. The country still is hoping to boost its fledgling unity government, but violence and political strife is still widespread. The unity government does not have full control of the country. But the latest increase is an encouraging sign that progress can be made. That may be good news for Libya, but the North African OPEC member will be dumping additional barrels onto an oversupplied market. And since oil traders have largely forgotten about Libya, which hasn’t been able to boost production beyond the roughly 300,000 barrels per day since 2014, the new supply comes as a bit of a surprise. The oil market is now seeing an extra 200,000 barrels per day, supplies that have not been incorporated into many oil price forecasts. With the global surplus standing at about 1.6 million barrels per day in the first half of 2016, the additional barrels from Libya will have worldwide implications. The IEA already pushed back its timeframe for when it believes the market will balance until the middle of next year. If Libya continues to ramp up production, even the IEA’s dour assessment could prove to be too optimistic.